LONG ISLAND CITY, N.Y., Dec. 11, 2014 /PRNewswire-USNewswire/ -- Gold or diamond commemoratives should accompany an anniversary this noteworthy. 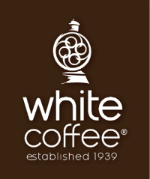 Instead, White Coffee Corporation's goal was to meet its customer's increasing demand for single serve coffees. This year, in conjunction with their 75th anniversary in the coffee industry, White Coffee makes a major upgrade in its production facilities with the addition of an expanded single serve coffee production line. This gives White Coffee four times its former capacity for single serve coffee pods.